Today we want to present a new special collection from S.T. Dupont: Grand Prix. This is a limited edition inspired by the McClaren auto with which Alain Prost won F1 World Caupin 1985. 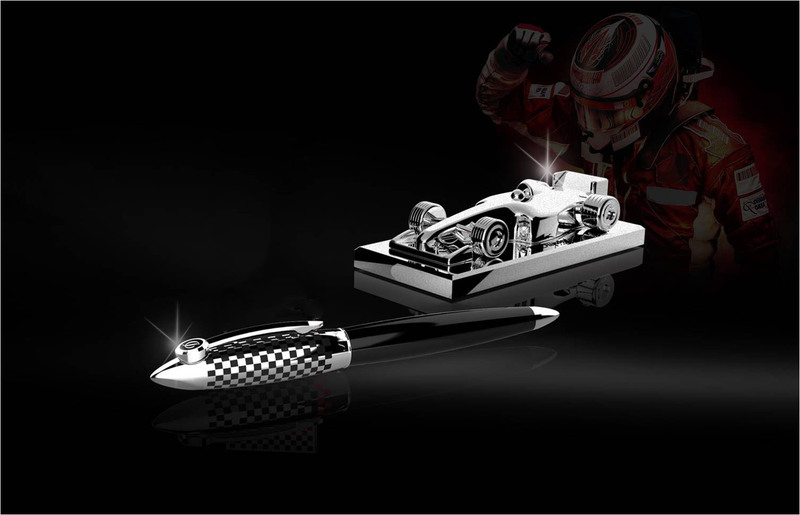 They are different fountain pen and pen with characteristic elements of F1 as the checkered flag or carbon fiber effect. Always with the precision and elegance of St Dupont. This edition is a great result of join the french excellence and legendary movement of ST Dupont, with the precission and power of a F1 Auto. This new collection has 1929 units, and every set contains a small car and a F1 paperweight. It is a fountain pen with 14K Gold nib, St. Dupont lacked in red and black with palladium trims. The ballpoint pen is bedecked with checkered flag apart from red and black lacked. Rollerball pen with palladium trims and St. Dupont lacked in red and black. Made of leather with carbon fibre effect an bedecked with brushed palladium. This Defi St Dupont pen is 140 mm long and 12.5 mm barrel width. How to choose the Perfect nibAre you looking for the Platinum Urushi Maki-e Fountain Pen, Urokomon?